If you would like to remove someone as a reviewer mid-review cycle, follow the easy steps below! 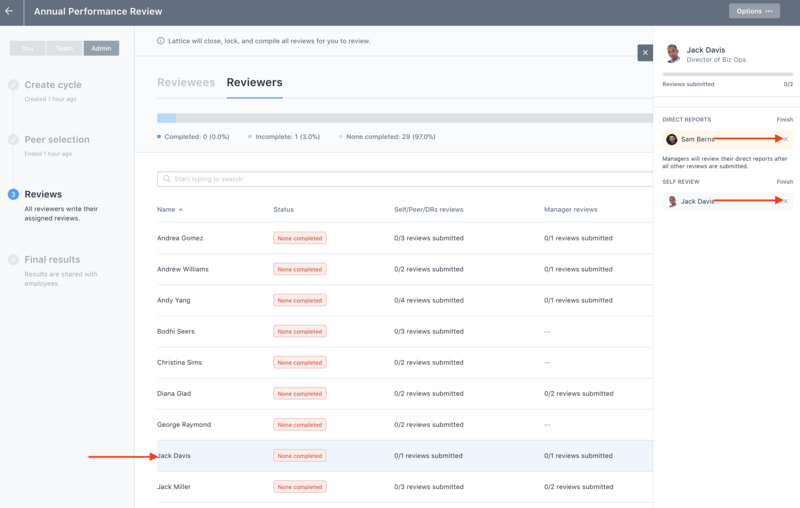 Step 3: Find the Review Cycle in question, and click on "Manage Cycle"
To remove the reviewer altogether from the cycle, click into the "Reviewers" tab and click on the person's name that you want to review from the cycle. 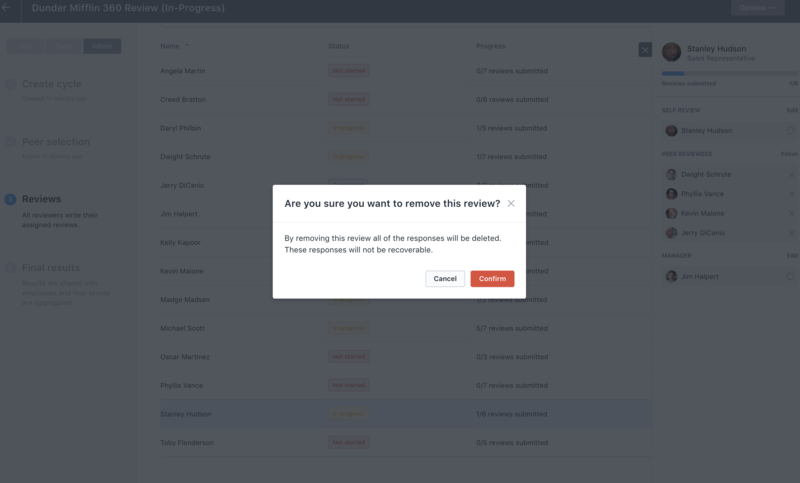 NOTE: Removing the reviewer will remove ALL reviews they have submitted during the cycle. 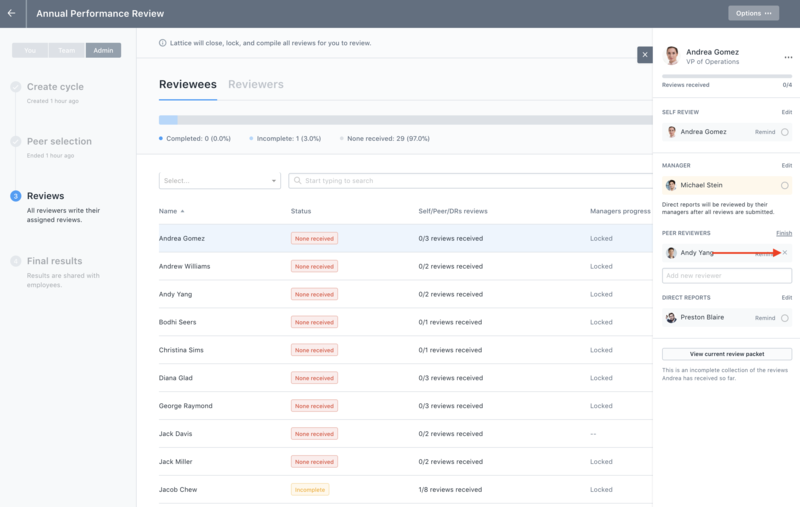 If you remove all reviews for a reviewer, they will be removed from the review cycle. Any completed reviews will also be permanently deleted.